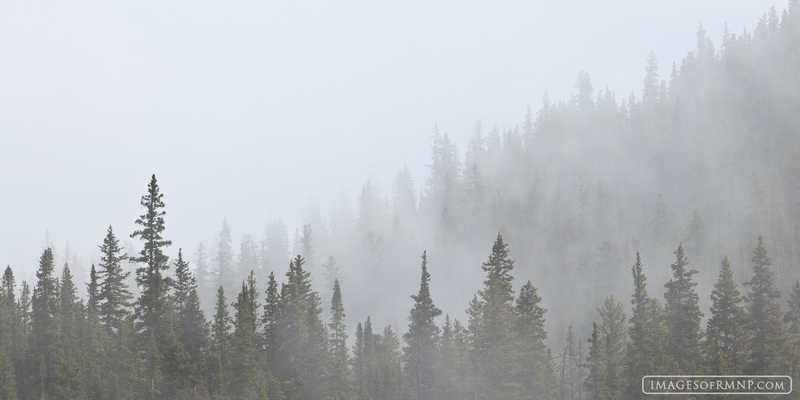 I was on the west side of the Continental Divide in Rocky Mountain National Park about two miles above sea level as the clouds began to break. They would begin to lift above the forest and then fall back again in a wonderfully peaceful rhythm. Low clouds have always fascinated me. They seem to bring a sense of mystery to everything they touch whether it be a forest, a mountain, or a gentle meadow. We all need more mystery in our lives. Photo © copyright by Erik Stensland.